Cpl Louis James Hauge, Jr.
Corporal Louis James Hauge, Jr. (12 December 1924 - 14 May 1945) was a U.S. Marine who was posthumously awarded his nation's highest military award for valor, the Medal of Honor, for his heroic actions during the Battle of Okinawa in World War II. Louis James Hauge, Jr. was born on 12 December 1924 in Ada, MN. 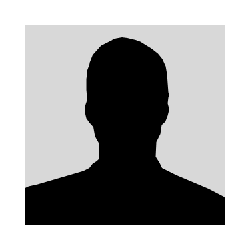 He was active in all athletics, but left high school after his first year and worked in a canning factory in Ada, where he became assistant foreman. He was later employed by a ship yard in Tacoma, WA, as a painter. He was inducted into the U.S. Marine Corps Reserve on 23 April 1943 and completed light-machine gun school at Camp Elliott, CA, before serving with the 1st Marine Division at New Caledonia and New Guinea. Later, he saw combat action on Peleliu as a message runner with Headquarters Company, 1st Battalion, 1st Marines. In this capacity, he distinguished himself for his bravery under fire and was given a meritorious promotion to Corporal. On 14 May 1945, Corporal Hauge was serving on Okinawa as a member of the 1st Marine Division. He was squad leader of a machine gun squad engaged in an assault against a heavily fortified Japanese hill. It was during the evening that the left flank of Company C, 1st Battalion, 1st Marines, was pinned down by a barrage of mortar and machine gun fire. The enemy was pouring enfilade fire into the ranks of the Marines. Quickly spotting the two guns responsible for the damage, Cpl Hauge boldly rushed across an open area, heaving hand grenades as he ran. Wounded before he reached the first gun, he nevertheless continued his one-man assault and completely destroyed the position. Without stopping, he pushed forward and attacked the second gun with grenades and demolished it before falling from the deadly fire of the Japanese snipers. Inspired by his actions, his company rose from their besieged position and pressed home the attack. For his heroic actions that day, he was awarded the Medal of Honor. 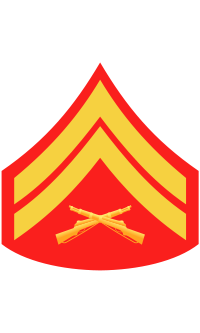 Rank and organization: Corporal, U.S. Marine Corps Reserve. Place and date: Okinawa Shima, Ryukyu Chain, 14 May 1945. 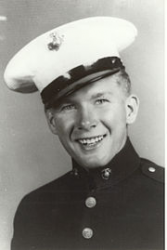 Citation: For conspicuous gallantry and intrepidity at the risk of his life above and beyond the call of duty as leader of a machinegun squad serving with Company C, 1st Battalion, 1st Marines, 1st Marine Division, in action against enemy Japanese forces on Okinawa Shima in the Ryukyu Chain on 14 May 1945. Alert and aggressive during a determined assault against a strongly fortified Japanese hill position, Cpl. Hauge boldly took the initiative when his company's left flank was pinned down under a heavy machinegun and mortar barrage with resultant severe casualties and, quickly locating the 2 machineguns which were delivering the uninterrupted stream of enfilade fire, ordered his squad to maintain a covering barrage as he rushed across an exposed area toward the furiously blazing enemy weapons. Although painfully wounded as he charged the first machinegun, he launched a vigorous single-handed grenade attack, destroyed the entire hostile gun position and moved relentlessly forward toward the other emplacement despite his wounds and the increasingly heavy Japanese fire. Undaunted by the savage opposition, he again hurled his deadly grenades with unerring aim and succeeded in demolishing the second enemy gun before he fell under the slashing fury of Japanese sniper fire. By his ready grasp of the critical situation and his heroic 1-man assault tactics, Cpl. Hauge had eliminated 2 strategically placed enemy weapons, thereby releasing the besieged troops from an overwhelming volume of hostile fire and enabling his company to advance. His indomitable fighting spirit and decisive valor in the face of almost certain death reflect the highest credit upon Cpl. Hauge and the U.S. Naval Service. He gallantly gave his life in the service of his country. The Medal of Honor was presented to Corporal Hauge's father on 14 June 1946 by Col Norman E. True, USMC, who represented the Commandant of the Marine Corps. The TAK-3000 Cpl. Louis J. Hauge Jr. - class of Maritime Prepositioning Ship [MPS] carries a full range of Marine Corps cargo, enough cargo to support a Marine Air Ground Task Force for 30 days. The class of ships was named in his honor. Corporal Louis James Hauge, Jr. was killed in action on 14 May 1945. His name is inscribed on the Tablets of the Missing at the National Memorial Cemetery of the Pacific in Honolulu, HI. A memorial for Corporal Louis James Hauge, Jr. is located at Ada Cemetery in Ada, Norman County, MN, in Block 4, Row 1, in a fenced area.